If you’ve managed to get the best vehicle finance deal from Earn-A-Car and you’re planning a road trip for the summer holidays, now’s the time to brush up on a few driving safety techniques and road safety knowledge. At Earn-A-Car, we’re not just another company offering vehicle finance in South Africa. We don’t just see you as a number and we want to ensure that you’re safe on our travels and adventures, in your new car. If you have small children or a baby on board, you’re going to want to take extra special care and so we have included a few baby car seat safety tips below for you to consider. Opt for a rear-facing car seat as these are safer than forward-facing car seats. If you have a forward-facing car seat, make sure that it is securely tethered at all times. 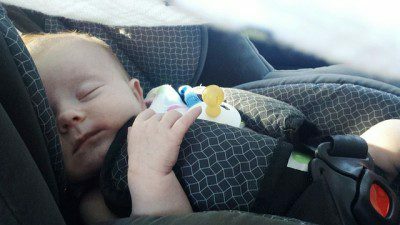 Remove any bulky blankets and clothing before buckling your child into the car seat. Bulky items can give the illusion of the straps being secure when they aren’t. Always check the label of the car seat to ensure that you’re using the right one for your child’s size, age and height. Make sure that you replace car seats as your baby grows. The safest place to set up your car seat is at the back, away from air bags that can cause serious injuries. If you’re looking for a vehicle finance company that truly cares about you and your children, Earn-A-Car is just that company. In addition to providing you with great travel safety tips, we can even help you to earn cash back on your monthly premiums to spend on yourself or your car. Need more information and advice on finding family / child friendly cars to buy? Contact us for more information and advice at Earn-A-Car today.